Engagement Consultants are a vital part of our team, providing support across a range of consultation projects, working alongside developers, local authorities, architects, multidisciplinary teams, agencies and communities. Engagement Consultants help provide an integrated approach that actively supports complex design and regeneration projects. You will work in teams of about 4 people and across multiple projects at any one time. You will be an enthusiastic and natural communicator with excellent written and oral communications skills. This will be combined with an understanding of the role of consultation and engagement in community planning. Knowledge of planning, urban design, local government and/or architecture is an advantage but not essential. This role offers a unique opportunity to make lasting and genuine contributions in shaping large-scale regeneration and strategic projects across London and the South East. You’ll be involved in extensive community outreach will have the opportunity to devise creative techniques to increase participation in the design and development process. You’ll also be required to devise high-quality communications to ensure maximum engagement, and this will include the use of websites and social media. Our people are our most valuable asset and we encourage people from all types of backgrounds to be part of our business, ranging from architecture and urbanism, to planning and geography, to politics, community engagement and creative practice, as well as graphic design and communications. We encourage our staff to develop their skills and reach their full potential and actively support them in this. Everyone is treated with respect and their opinion is valued no matter their level. We offer an extraordinary collaborative working alongside dedicated, likeminded, ambitious and supportive colleagues to deliver excellence and the highest standards. In an ever changing and unpredictable context, we have to be responsive to the needs of project timescales, community feedback and politics and sometimes challenging our clients when needed to ensure the best outcome for the project and process. The range of regeneration and development projects we work on offer an unmatched insight into London and the huge transformation it and its communities are undergoing. Project teams work from ‘penthouse to pavement’ creating a unique experience. Please send us your CV and a covering letter of no more than one page to recruitment@soundingsoffice.com by 28 April 2019. Applications will be reviewed on a rolling basis and the position may be filled ahead of the deadline. Posted on December 12, 2018 by soundings| Comments Off on Festive Greetings! Comments Off on Festive Greetings! Soundings is the sister company to Fluid Design Ltd. Soundings is a thriving and growing Shoreditch based consultancy with over 15 years’ experience focusing on community and stakeholder engagement, consultation and co-design and cutting edge, high profile urban projects. We are looking for a massively enthusiastic and talented Digital designer/Front-End Developer to join our team, based in central London. Someone with min 3 years experience who also has an eye for design and is at ease working alongside graphic designers and in bringing to life complex online layouts. You will be joining a design team and work directly with the creative director to help deliver high-quality responsive websites. The role will cover a range of channels including: Newsletter design. WordPress based websites, HTML development for Display Banners (Media), Feedback forms and etc. – BA(Hons) in Digital Design, Graphic Design, Graphic Communications or related field. We are delighted to announce the recipients for the second round of the Derwent London Community Fund. 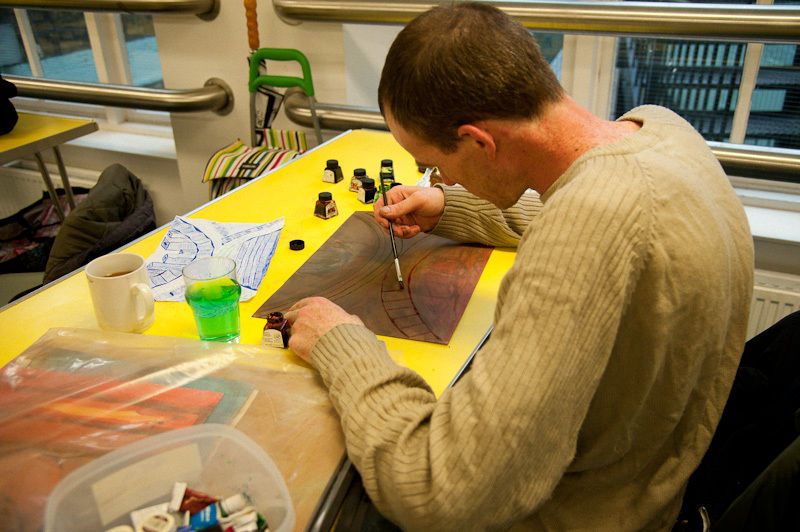 In May 2013, Derwent London launched a £250,000 community investment programme to support community projects in Fitzrovia. In the first year of the fund five local groups received £70,000 and a further £75,000 has just been allocated! Upbeat Music: Songs inspired by Dylan Thomas – music project for people with mental health issues. For more information on the Derwent London Community Fund and the selected projects click here. We hope you’ve been enjoying the sunny summer weather! Here’s a catch-up of the exciting projects we’ve been doing all across the city. Click on the project website links to find out more! Consultation on The Goodsyard continues to grow into summer 2013 following a successful period of community engagement earlier this year. The unique site between Shoreditch, Banglatown and Spitalfields was formerly home to the Bishopsgate Goods Yard depot and has been identified as a major development opportunity that will help to regenerate the area. Following wide-ranging outreach and engagement earlier this year, we held an Ideas Week in June – an intense period of idea generation and design activity with exhibitions, public workshops and focus sessions involving the whole community (view the video above!). 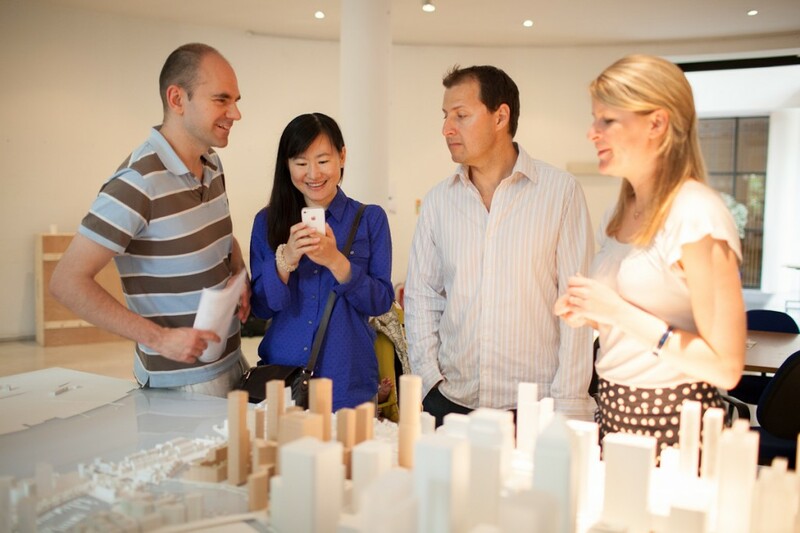 The Concept Masterplan Exhibition took place in July, where early design responses from the masterplanning team were presented to gather feedback and understand if the scheme is headed in the right direction. Further consultation and youth engagement within the local community will be happening in the coming months, where more detailed information on the design will be developed and broad parameters of the masterplan have been agreed. Please visit the website, Twitter, or Facebook to get involved. 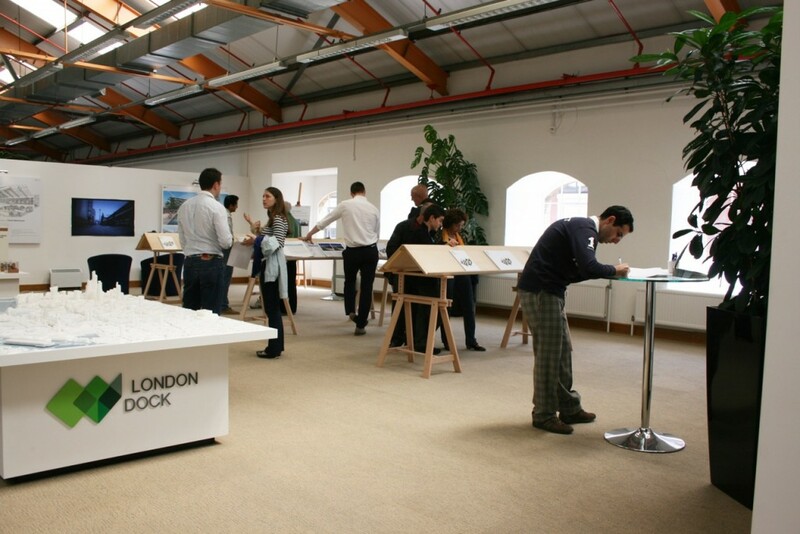 The hybrid-planning application for London Dock was submitted on 29th May and was followed by an exhibition presenting the planning documents and key information on the 29th of June, 2nd and 3rd of July and a Community Forum hosted by Tower Hamlets on the 4th of July. Visit the website to find out more. In June we held a public exhibition presenting the evolving masterplan for the site, in order to gather feedback from the local community. This is now being reviewed by the design and developer team and further consultation events will take place in due course. Visit the website to find out more about the project and keep up to date with the consultation. A series of well-attended exhibitions and workshops took place in mid-June on the redevelopment of the Hornsey Depot site in Haringey. The site is proposed to be a a mix used development with 400 homes by St. James, a Sainsbury’s store, car park, and work space. At the exhibition visitors could see plans for the site, discuss these with the team and leave their feedback. 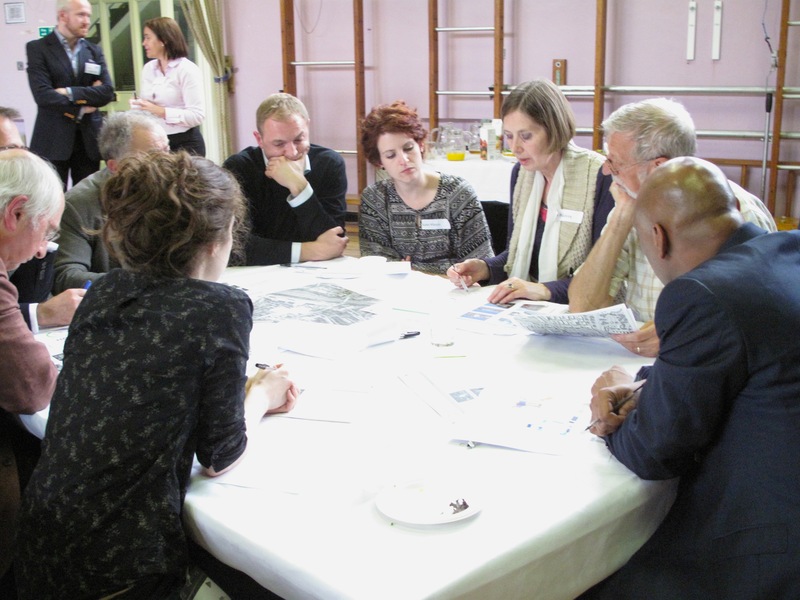 Ideas for how to integrate the development into the local area and community, and traffic and parking issues were discussed in greater depth at two evening workshops. Visit the website to find out more about the proposals and how to get involved in the consultation. 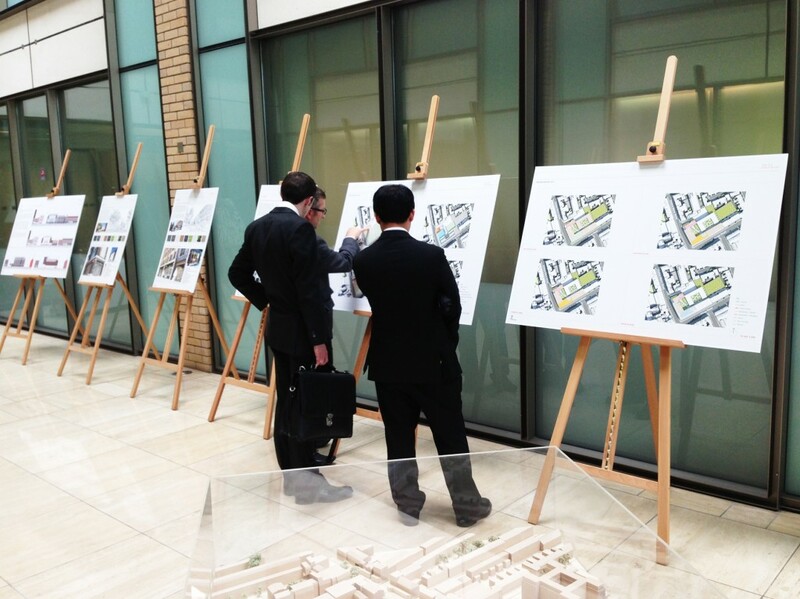 A successful exhibition was held over 5 days in late June to present the final designs for the redevelopment of 200-222 Kings Road. The feedback from this is now being reviewed. For more information please visit the website.